First rule of freeform crochet: There are no rules! Second rule of freeform crochet: If you make some, post a picture or a link-y here because I need to live vicariously through everyone else’s stitching. Third rule of freeform crochet: There are no rules! 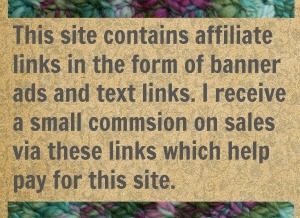 – it does not follow conventional rules of crochet. Its like freeform writing. Did you ever do that in school? That’s where a teacher tells you to get out pen and paper and just start writing random words and keep writing for 5 (or whatever) minutes. That exercise is intended to tap into the writer’s subconscious mind and stimulate ideas. Freeform crochet is like that. All you need to do is start. 1) Make a shape to use as your “base”. It can be as simple as a square or as complicated as a flower. It can be anything. 2) Relax. Let go of your expectations. Honestly, if you know how to make three or four crochet stitches then you can freeform and you really don’t need me or this post. The thing that is stopping you is your expectations so let them go. Your freeform won’t look like mine. It won’t look like anyone else’s either. 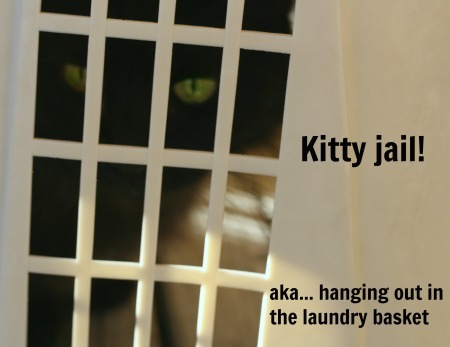 No one is judging, not even the housecat. And if you’re having trouble with this, here is a weird technique that I use to get rid of expectations: I find something to be grateful for. I’m not sure why that works but a few moments of heart-felt gratitude is enough to convince me that whatever I do will be okay. 3) Turn on some music. 4) Pick up your hook and yarn and break a rule. Do that right away to get you in the freeform mindset. Do something that no sane pattern would ever call for. change color in the middle of a row. 5) Keep going. Don’t look back or rip. 6) After a few minutes, start doing that stitch you like. Maybe its broomstick lace or maybe its bobbles. Maybe you find yourself doing a lace pattern that was in your last shawl project. Just let it come out. This is how I learn (from my subconscious) what I like to make best. 7) Check to make sure it lays flat-ish. Or not! Maybe you find yourself makign a 3D piece, aka sculpture, aka you have no idea what it is but you like it. I’ve found myself doing that a time or two. But if you’re trying for flat, then keep in mind flat-ish is probably good enough. Crochet takes a block very well and you can really stretch that baby out when its wet and on the blocking board. If your freeform is going to be a thing, a useful item (mine NEVER are), then keep an example of that nearby to use as a guide for shaping. If you are making a hat, keep a regular crochet hat around. If your making a bag (and that’s what I’d recommend for beginners because a bag is a very forgiving shape) then get one of those. Check your piece against the example to stay on track and help you with shaping. That’s all there is to it. Enjoy the freedom of freeform and don’t forget the Second Rule. And check out my other free crochet tutorials! 6 Comments on "How Freeform Crochet Happens"
Yeah! this is a great place to drop in on every day. Thanks Jenn. Yes to all of the above! I learn something every time I drop in here. Thank you Jenn. That two tone spiral would make a great hat.I need to learn how to do that (hint). Have a wonderful night. And here is a pattern for a three-color spiral hat! Wow you are the best! Thanks so much for the links. I can see those WIPs stacking up in the que now. Well….I do have to stop and at least give new stuff a try….right?